In a few years Tamar Mar built a property portfolio with a passive income that has enabled her to leave her job as a COO in a multi-million dollar business and become the ‘CEO of her dreams’ and of her own business, the Morata Group. She’s now sharing this knowledge through her podcast, Investing for Life. 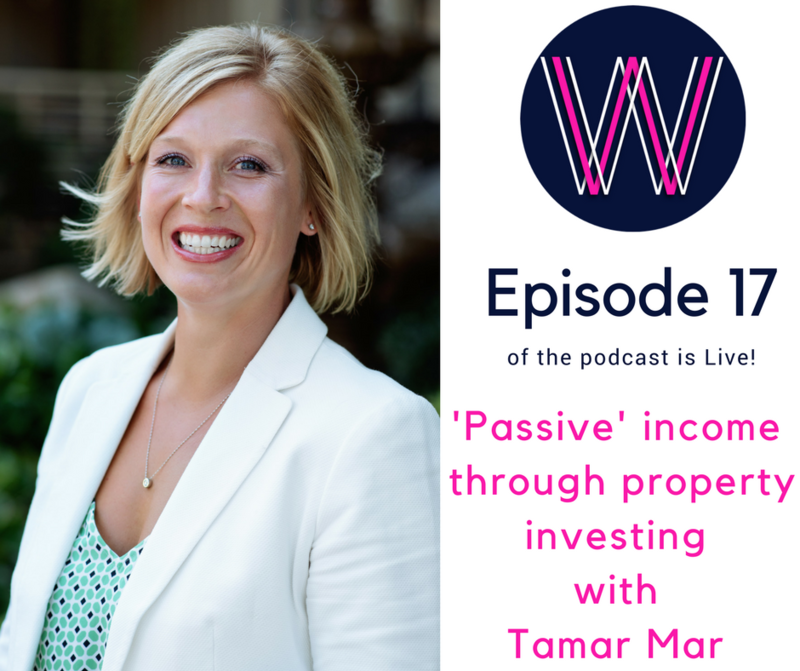 Lisa Linfield caught up with Tamar to understand how she did this, and find out her lessons for those who’d like to create a passive income stream through property. How she fits it all in!!!! Lisa Linfield: 00:09 Hello everybody, and thank you for joining us on Working Women’s Wealth. Today I am joined by Tamar Mar. She is the host of a podcast called Investing for Life and CEO of the Marota Group. Thank you, Tamar, for joining us. Tamar Mar: 00:36 Lisa, I am so pleased to be here with you today. Lisa Linfield: 00:39 It’s so lovely to get perspectives from people all around the world, so I really appreciate the fact that this is early in the morning for you, and that we are able to have you here to share some of your learnings as a working mom who started her own business and took the step of courage that so inspires so many people. For those of our guests, particularly in South Africa who don’t know of the Investing for Life podcast or your story, could you tell us a little bit about your journey that got you to where you are right now? Tamar Mar: 01:10 I would so love to. I love to describe myself as an adventurer at heart, and that comes in many different forms. I love traveling the world, I love doing crazy outdoor activities like kayaking and mountain climbing and backpacking and surfing. Years ago, my husband and I were just thinking about the future, and I thought, “I don’t want us to be tied to nine-to-five jobs forever, because I want to be able to do things that we can’t do when we’re tied to nine-to-five jobs and we only have three vacation weeks a year, or something. Years and years ago when we were first married, I’ve been married for 17 years, we started implementing some financial strategies that would enable us to reach some of our goals like traveling; for instance, we would use cash instead of credit cards, so we would have the exact amount budgeted out for groceries and for entertainment and such, and then we’ve also used other strategies like aggressively paying down our mortgage so that eventually we have a very low cost of living, and it doesn’t take a lot of work to find the paths of income to cover that and go lead a more adventurous life. So fast forward a little bit, about four years ago I had been the COO of a company on Wall Street in New York. It was a regulatory services company. I just had this sensation like I need to have my own company at some point, and I had helped my friend grow her business to a multimillion-dollar business and had a blast doing it, but there was just something stirring in me like I want to do this for myself and move forward my agenda and my dreams. So we started taking action steps right away, started buying houses on auction to build up our rental pool, have some single-family houses as rentals, but about a year ago, what really clicked for me as I was still an employee; we were doing a ton of investing, and we’ll dig more into all of this stuff, but we were doing a ton of real estate investing, I was still a full-time employee, and a little over a year ago I just had this moment where I thought, “I need to be the CEO of my own dreams, not the CEO of somebody else’s dreams”, and I decided that I was never going to be an employee again; I was going to leave my current job and pursue other avenues. That’s where I started my full- time investment business, and I invest in businesses and real estate, and now I’ve moved into the multifamily, or apartment, communities that I invest in. So I pool together groups of investors, we purchase properties as a group, and then I oversee the asset and make sure that it’s providing exceptional returns for our investors. Then just to finally sum that up, I also bought a company last year with my business partner, who’s my cousin, here in the local Seattle, Washington, area. Then I started my podcast about a month-and-a-half ago to talk about these concepts of investing and intentional lifestyle design, because I think so many people let life happen to them, and I’m a big proponent of making life happen the way we want it to happen instead of being reactionary, being really proactive and going after one’s dreams. So that’s a lot to unpack, but that’s a really high-level summary of who I am. I also have three kids. Lisa Linfield: 04:57 Listening to you, you make it sound so easy. You had a feeling in your tummy that you needed to start your own business four years ago, you settled on investments, you’re investing in property. You kinda started that while you carried on your full-time job. Then about a year ago you thought, “Oh goodness, I need to leave”, and you left. Tamar Mar: 05:22 Yeah. Yep. Lisa Linfield: 05:22 It sounds so easy, but having just done it myself in roughly similar kind of timeframes, I know that there is nothing easy about it. Tamar Mar: 05:33 Oh, for sure not, sister. Nope. Lisa Linfield: 05:38 The reason why I’m giggling is because it takes an enormous amount of courage to overcome the fear that you have: the fear of losing that corporate salary, the fear of failure. All of us have an inherent fear of failure and want to succeed. There’s so many fears. What were those that you experienced, and how did you overcome making that transition? Tamar Mar: 06:03 I love this question a lot. You know, there was a lot of fears, because, again, you’re leaving a corporate salary, but the reality of it is, Lisa, is that when … And you can probably attest to this, as well, when you are a family with younger children, so I have an 11-year-old and two nine-year-olds, you make a lot of sacrifices for family. For me, the thing that’s number one most important in my life is being there with my family. It drives everything that I do. So there have been lots of times up and down since having kids, and actually since we were married, where our income would fluctuate; we’d have two incomes and then we’d drop down to a part-time income for one person when I pursued grad school and my internship. So we’ve had these different ups and downs in our income. What we did years ago when I quit a very high-paying job to pursue my full-time grad school internship … At the time, I had been going to grad school and working full time. We decided to live off of my husband’s income, which, at the time, we were a young married couple, we didn’t have a ton coming in, but we were very, very intentional on only living off of that, and we would always stick to that moving forward. So we made some choices in our house not to have crazy cable. We don’t need tons of TV channels, and we’d be a little bit more frugal going out. So we, over time, had this mindset of let’s only live off my husband’s income so that I have the capacity to do what I need to do. That said, I had been at this height again where I had a nice corporate income, and then we backed off, but we said, “We can do this. It’s a short-term sacrifice for long-term gains.” I know that if I took the time to really pursue what I was passionate about and what I knew I could do well, and go after it full speed on my terms, not somebody else’s terms, that the pay-off would be so much greater than sticking around in a job that I was lackluster about at the time. I think it was because we had been primed to have our income fluctuate over time that made it easier for us to make the decision, but I will say it was quite scary, it was, but it’s all worked out. Lisa Linfield: 08:19 [inaudible 00:08:19]. When I was listening to you, there were a few things that came to me quite strongly. You know, the first one is that people often talk about the fact that it doesn’t matter how much you earn, you still are able to spend it all, and that’s a challenge. As we go from young newly married people or single people or whatever it is, suddenly we get these big [inaudible 00:08:42] changes in salary, and we go, “Woo hoo!” Now I buy a bigger house, bigger car, bigger everything, and we each do that. It is an enormous discipline to make sure that you don’t always increase. There’s a great behavioral economic concept called, save for tomorrow tomorrow, and basically what it says is that if you get a salary increase, let’s say of six percent, that half of it you keep, so three percent you keep, and three percent you save towards your long-term investment, your long-term goal. What you’re actually doing is, over time, you are making sure that you don’t live into the growth in your salary. That includes if you suddenly get a bump in salary. Put half of it on a standing or [inaudible 00:09:23] order into investment, and the other half you can live off. So you keep thinking that you’re getting a bit more every single year, but actually you’re also continuously saving. When I spoke to a group of women the other day, I was saying to them, “Can any of you give me 20% of your salary now?” They all said, “Absolutely not”. I said, but “In five years’ time, if I ask you the exact same question, you would also say ‘absolutely not'”, and they said kind of proudly, yeah, they nodded their heads. Then I said, “Okay, but if I gave you, can any of you give me half of your salary increase?” They said, “Absolutely. That would be fine.” So I said, “Okay, but over five years, if you’re saving half your salary increase, you’re going to have 20% at the end of that.” They all looked at me as the penny dropped, that actually, the least invasive way to create space to invest is by taking half of salary increases every single year and, over time, that accumulates. Tamar Mar: 10:19 We can even make smaller choices than that, too, that have a huge impact, even if it’s only a one-percent increase every year that we’re adding to our retirement savings. We make a habit of exactly what you’re talking about. My husband, since he works a corporate job, whenever he receives his pay increase every year, we up our percentage that we put into his company retirement plan every year at that same time, and then we take a tiny little bump, and it barely seems like anything, we might get $25 more paycheck, I’m joking, but it still gives us the psychology that a raise has come, and we have an increased living wages, but our first priority is to make sure that we’re saving more and setting ourselves up for our financial future. Lisa Linfield: 11:03 Absolutely. You know, the other thing that struck me about what you were saying is this whole thing of intentional living. You didn’t just decide, you know what? I really want to have my own business, decide what it is, property investing, and then say, “Okay, I’m going to go now”, offer “Goodbye” and kind of do it. You spent some time intentionally transitioning yourself by building your property portfolio and positioning yourself in that way, that you continue to keep earning your income, so it was almost like your nine-to-five was at your job, and your 5:00 onwards was building your own business. Tamar Mar: 11:40 Yeah. 5:00 onwards, and just about every waking moment of our weekends, especially when we were buying single-family houses on auction, sight unseen, we would buy them, go see what we wound up with, and sometimes these things were crazy trashed. Then we’d bring our whole family there and all of us would spend a weekend just working on it, sometimes for six weeks, sometimes for three-and-a-half months until we got it ready to put some renters in there and pull in some revenue. So, definitely, we had about a three-year period where we were working very diligently on building up our portfolio as a family before I took the step to move into it on my own. Lisa Linfield: 12:21 You know, that’s, for me, something that is hugely important is the requirement of having a strong vision of what you want to achieve, because it’s not easy having no time to sit on the couch and veg out. Tamar Mar: 12:37 I don’t know what that is. Lisa Linfield: 12:41 Absolutely. The question that I always say to people when they say I don’t have enough time, or I don’t have enough this, or I don’t have enough anything to do something, is I always say the deep question is how much do you want? How much do you want it? How deeply is that vision ingrained in you? Tamar Mar: 13:30 Yes. That’s a big why right there. You know, one practice that I have, that I do almost every single morning, I spend the first actually two, two-and-a-half hours of my day by myself every day. I get up super early. I get up at 4:45. I study for about an hour, I journal, and then I go work out for 60 to 90 minutes. That’s the basic summary. In my journaling activity, actually, I’ll just say a little bit about my studying, as well. If you have something that you’re very interested in pursuing, I know a lot of people, especially folks with young kids have a hard time finding time for reading, but I intentionally carve that out to further my knowledge every single day. It doesn’t always have to be in, for me, real estate. For me, it can be Greek philosophy, or it can be business practices, or how to love my family better, lots of different things. Then my journaling practice, I’m very intentional about writing down my big life visions almost every single day. So I’m constantly reminded, my subconscious brain is constantly reminded what I’m working toward, and then I take these tiny steps every day toward getting one step closer to whatever big dream or goal I’m achieving. Those could include anything from taking a big international trip with my family to backpacking, a hundred-mile backpacking trip, to closing on a hundred units of rental property this year, or whatever it is. I think being really conscious of what it is you’re working toward, like you mentioned, goes leaps and bounds to get your there. Lisa Linfield: 15:01 Absolutely. So you said that one of the ways you started by accumulating this property portfolio was by attending auctions and getting stuff on auction. Tell us a bit about that. How do you even start getting properties on auction? Tamar Mar: 15:18 In the States, there are different ways that you can do this. There are tax lien auctions, where if somebody’s behind on tax, property taxes, for I think it’s a period of two years, your house can go into foreclosure. There are different types of foreclosure auctions on the county courthouse steps or big meeting rooms, but what my husband and I did were, there’s a couple of different on-line sites. One of them is Xome, which used to be home search, and that’s spelled x-o-m-e, and one of them is auction.com, and I think there’s a few other ones. We would just go on-line, we’d find what inventory was available in our state, and we would set our criteria. So we would say, “Okay, we want a house that’s no more than 35, 40 minutes away”, because if we’re going to be working on it, we need to make sure that it doesn’t eat up all of our time with commute. Then we would look at how rundown the house might be, how much work we might need to put into it. Those are all unknowns, but we would say for a nice-looking house in the neighborhood, what would it go for? What would the rents go for? What would the property value be? Then we would set that criteria as well of, okay, if the house is worth … just some easy math … if it was worth $200,000, we wouldn’t pay more than a hundred-and-fifty thousand for it, ’cause we wanted to make sure that we had room to put the renovations in it, and then be able to do a cashout refinance later on to pay ourselves back for the investment. We also want to make sure that the property cash [inaudible 00:16:48]. We have a number of considerations, but the logistics with that on an on-line auction is that it’s as simple as going on your computer, and usually for about a week when the bidding starts, you put in your bid; you have to put down some earnest money, maybe a couple thousand dollars, to show that you’re serious. If you don’t get the house, then you get that money refunded to you. Then on the day of the auction, it gets a little bit more heated up, and this is the thing that I let my husband do because I was like, “Whatever”. We don’t gamble, but he had fun clicking the mouse. I said, “Husband, just don’t go past this number”. So then you just continue to increase your bids, and you set your threshold and make sure that you know what you won’t go past. If you win it, then you get this house, and you don’t have access to it for a little bit, because sometimes there could be folks in the home still, but the craziest thing is that everything is as is, meaning there is no negotiating based off of the quality of the house; you don’t know if there’s a leaky roof; you don’t have a chance for an inspection ahead of time, so it’s a big risk. Sometimes you’d end up in homes that look a little bit better, and sometimes you have homes that are not so nice, and we’ve done both of those. Lisa Linfield: 18:06 What are the lessons you’ve learned? Tamar Mar: 18:08 Oh, my gosh. Always have a bigger renovation budget than you think that you need, so work in a little bit of wiggle room. For example, we ran across … One of the houses was an old oil gas tank underground and an oil furnace, and we needed to convert it to natural gas, and there wasn’t even natural gas coming to the house, so that was an extra like $5,000 expense. I think, over time, you just continue to do this, and you build up your risk tolerance; whereas, something might seem freaky or scary on the first one or two times you’re doing it, you build up stamina, so to speak, in your investing game, and know how to deal with those situations, or at least you build up a good enough network of people and resources so you can call. It’s not like you have to know how to do everything, but you build up a network so that you can rely on others to help you solve the problems. Lisa Linfield: 19:03 Wow. What was the first investment property you bought? Tamar Mar: 19:07 Oh, I was actually 19 when I bought my first house, believe it or not. Tamar Mar: 19:14 I didn’t think of it as an investment back then, but I had been working since a month after I turned 18 full time and school full time. After my second year of university, an opportunity came up for me to buy a home, so I bought one all the way back then. Then, gosh, an investment property years ago. After we were married, we moved into our home, that it’s our home now, but right after we moved into it, I found out that I was getting promoted. My job would take us across the country. So we decided to rent out this house, and then when we moved to Minnesota, the state of Minnesota, we bought another house and rented this one out. We had very little mortgage at the time, so the rental income was paying for both mortgages for us, and that was our first real taste of, wow, this is a powerful thing if you can leverage an asset like that to help with your living expenses. Lisa Linfield: 20:08 Absolutely. Because then you can save that money from your income. Tamar Mar: 20:11 Yes. And we did that crazy big time. Lisa Linfield: 20:15 It comes to how do you finance all of this stuff? One little house here, one little house there, yes, you can do it, but when you’re starting to talk about apartment blocks and large portfolio, how did you finance and raise the finances for this? Tamar Mar: 20:30 Ooh, that’s another great question. For single-family houses, we used a HELOC, which is a home equity line of credit, and we have a very substantial HELOC on both our primary residence and another home that we own free and clear about 20 minutes from our house. We have about 500,000 between the two homes, because we have so much equity in the houses. So we would use that to pay “cash” for the houses that we would buy on auction, and then we would sit on those homes for about six months, after which period most banks require that you own a home for 6 or 12 months. It’s called a seasoning period. Then we would do a cash out to refinance and pay ourselves back, usually about a hundred percent. So then we would repay the HELOC and we did that … It was kind of a slower process, that’s why we couldn’t acquire as many houses, and that’s why we moved into multifamily, as well, because we could accelerate our returns so much faster. In order for us to move into the multifamily space, I am doing something called syndication. It’s kind of a big word for your listeners that haven’t heard of that term before. Essentially, what it means is I am an asset manager, and I go out and I scour the market for apartment deals that are usually less than desirable, so they have some deferred maintenance, meaning they’re kinda run down, or maybe the rent is way below market, so there’s a lot of value add that we can provide to the property by going in and repositioning the asset and improving operational efficiencies. So I work with all of my team, meaning real estate broker and property manager and lender, to find these properties, and then identify a really good opportunity for investors. In the meantime, I spend a lot of time reaching out to other people that I know and continually expanding my network to share what it is that I’m doing, and then I have these investors partner with me. So my minimum investment, for example, would be $50,000, so I might pool together anywhere from 5 to 50 investors, depending on the size of the apartment community that I’m investing in. Then I always put some of our own money into the deal, as well. That funds the down payment and all the closing costs and acquisition fees and inspection and legal fees, and all of that. When you’re working on larger properties, it’s very rare for a family to be able to purchase a large apartment community by themselves. Yes, there are people that do it, but most likely it’s either smaller partnerships, or these types of syndications of investors that pool together and buy these assets. Lisa Linfield: 23:13 How do you prevent stuff going wrong between the investors? Today I say, “Okay, hey, I’m going to give you one of my $50,000”, and then in two years’ time I hit a personal bump in the road and I say, “Hey, Tamar, I want my 50 grand back in whatever growth it is.” How do you manage the things between all the investors? Tamar Mar: 23:33 Yeah, I think at the beginning it’s setting really clear expectations and also sharing what my business plan is. So since my goal is passive income, I usually partner with like-minded people who also have that same goal, and I model out all of my assets for a 10-year hold. The biggest reason for that is because real estate cycles generally are between 8 and 14 years, and somewhere between 10 and 12 years is more common. If you’re at an upmarket, then it’s probably going to be another 10 to 12 years before you’re at another upmarket, if there was a dip. So I always communicate that to my partners. In addition, we have a very clear operating agreement, and I’m also required by the securities and exchange commission here in the United States to put together a private placement memorandum that outlines all of their risks, and they could lose all their money, that sort of a thing. Specifically, in the operating agreement, we have a general partner, which is me, and then we have a limited partner. The limited partners are all the investors. So the limited partnership, basically, they’re passive in a sense that they do not have day-to-day decision-making authority; they agree to let me have all that, because I’m the expert in identifying all of this and making sure that the property is operating efficiently. If there are decisions that need to be made over a certain threshold, say a hundred-thousand dollars, then I would bring that to my limited partners and say, “Okay, this is the opportunity. This is what we’re looking at,” either refinance or a sale or the purchase of another asset. We bring that to them, and they can all vote on it together; otherwise, everything is clearly outlined, that you can’t get out unless you sell your shares to somebody else, and then the partnership has a first right of refusal. If somebody really needed to get out, they can go to other LLC members and … I’m not sure what that’s called in South Africa, LLC [inaudible 00:25:29]. Lisa Linfield: 25:29 It’s limited liability company. Tamar Mar: 25:31 Exactly, yeah. Lisa Linfield: 25:33 We call that PTYLTD, same thing, yeah. Tamar Mar: 25:36 Okay, got you, but just to wrap that up, they can go to the other partners and ask for the first right of refusal if anybody else is interested in buying their shares. If not, they can try selling it to somebody else outside of the partnership, but that’s very, very, very rare in these types of partnerships in buying real estate assets. Lisa Linfield: 25:55 You mentioned your network twice, both the network of people that you work with in order to buy and manage the property and, secondly, the network of investors. How do you go about building a great [inaudible 00:26:09] good broker, good [inaudible 00:26:12] manager, first, on the one hand, and also great investors, on the other hand? Tamar Mar: 26:17 Well, here’s the first thing is, I’m not very shy. I talk to a lot of people. I think part of it is goal driven. I’m like, okay, I have these goals I want to reach, so I need to meet the people that will help me be successful, and also give back to them. In terms of my network that helped me with the asset, I try to go on between one to three appointments a week with those types of … I guess between my team and my investors, between one to three meetings a week of meeting new people. Then when I meet new people in the industry, then I often ask questions like, do you know anybody who is a fabulous real estate attorney who can handle rezoning of a property, or whatever problem I’m facing at the time. I’m always asking other people for referrals, and they love providing referrals anyways. The other thing that I do with my investor network, and probably the best way to grow one’s investor network is to, number one, be a value to other people, so part of that is by creating a thought leadership platform and giving away content that’s useful to other people, not unlike what you’re doing right now with your podcast, and that can be through a podcast or blog. Also, somebody else has a need, then I try to meet that need for them in my best way possible, because they really need to know I can trust you, and the biggest thing is trust you, so if you can provide value to them in any way, that’s great. Then another way is by … In this business, people want to see perform. So I’m going to give you an example of this one project that I’ve done. I bought an apartment community in July of 2017, and we are just finishing up renovating 10 out of 15 of the units, and we’re getting ready to what we call stabilize the property, meaning it’s getting as much money as it can for the neighborhood that it’s in and the quality of property that it is and the type of tenants we can put into it. Well, as soon as it’s stabilized, I can then turn around and do a refinance on it and return a big portion of my investor equity, the money that they put into it. Once you do that, and show people that they can perform, they’re going to reinvest with you, and they’re also going to tell their friends like, “Hey, this is so cool. Tamar has this property that I’ve been involved in, and we’ve made great returns on it”, and they talk to other people, and then introduce you to their network, as well. It’s that, and then just asking, “Hey, do you know anybody else who might be interested?” I have to say it takes some courage to do that. I don’t know what it is about that; if it’s just a woman thing, or if it’s that you’re just nervous asking somebody else to refer somebody your way. I don’t know what it is, but it takes a lot of courage to ask for referrals, and I don’t want to gloss over that at all, because I think a lot of people actually struggle with that no matter what business they’re in, but you have to get out of your comfort zone in order to move forward, and I try to remind myself that every day. Lisa Linfield: 29:19 I’m absolutely shocking at that. I headed up sales in various different forms in different places, and if they do a sales assessment on me, in theory, I can do this whole thing, because I know the theory of it. The practice of actually saying to someone, “Hey, can you refer a friend to me?”, just fills me with the heebie-jeebies. Tamar Mar: 29:42 I know. Why is it so hard? I don’t get it. Lisa Linfield: 29:45 It feels like the used car salesman kind of approach, kind of hound everybody for contacts and then go and hound them, too. I don’t know what it is. You know what, when you find out and work out what the secret is, definitely let us know, because it’s a terrible thing. Also, you know, I think to a certain degree, in my second podcast, I interviewed a fantastic woman called [inaudible 00:30:08], and we were discussing this whole thing about working out how much you’re worth. Part of that is about saying “I believe that the service that I provide, or the value that I provide, is worth you interrupting a friendship for a business thing.” So if you’re going to refer your friend or a contact of yours, most of us protect our [inaudible 00:30:33] quite strongly. We don’t want to be the person that gets all of our friends upset because you keep giving their number to every this, that, and the next thing. There’s a certain amount that you’re saying the value that I can provide your friend is worth you giving me that introduction. Tamar Mar: 30:49 Yeah. Yeah. It’s still hard to get over that used car salesman feeling. Sometimes, I have to say I don’t ask for referrals very often. I could do a way better job at that, because I feel like I want to let my actions speak louder than my words, and I want my actions and my integrity to make me shine in what I’m doing, and let those speak for themselves. You know what I’m saying? So it’s actually a numbers game, which is the more people you serve, the more chance they will spontaneously refer that once-every-three-years referral to you. It is a certain element of scale in terms of building a reputation, and then like any of those graphs in life, it then goes up exponentially, because the more people that you’re serving, the more often that you get referrals. I think it is a time thing to build a reputation, but, as you said, the most important thing is delivering value to people. Did you start doing all these properties in your own name? Or did you set up a company structure early on? Tamar Mar: 32:13 Definitely a company structure. My husband and I started doing that back about four years ago when I talked about, “Hey, let’s start our own investing company”. We started back at that point and built a couple of different structures that we would put properties into, and then for the Maroda Group, I have a separate entity for that, as well. We probably have four or five different family limited liability companies. Lisa Linfield: 32:38 So for each one of these new apartments, you set up a new company. Tamar Mar: 32:43 We do. Absolutely. The reason why is because there’s specific rules that pertain to each asset, because they’re all so different from one another, and no two LLCs are the same, because you have different groups of investors in them, so we need to make sure that we’re protecting the rights and everything of each individual person that is in that group, that particular group of investors, and to make sure that I’m protected, as well, for the work that I’m doing. Lisa Linfield: 33:11 You are one human being; as amazing as you are, you are one human being. On a day-to-day perspective, so apart from your network of investors in your network of service providers, who have you put in place to help support you through this? Tamar Mar: 33:28 I’m kind of embarrassed to admit that I’m a one-person show right now. Funny enough, I also home school one of my three kids. Lisa Linfield: 33:35 Wow. [crosstalk 00:33:35] 4 in the morning. Tamar Mar: 33:39 I do, but I do get a really fair amount of sleep every night. I get between seven and eight hours of sleep every night. I go to bed early. It’s important to me. I do outsource a lot of the financial tasks, so I use a company called Upwork, which is an overseas and local outsourcing company, so all my bookkeeping I outsource, and that really helped. I’m on the verge of getting either a virtual assistant or a local assistant to help me out mostly with the stuff that I don’t have time to do that I really want to do to grow my business, but the way I manage it right now is, I have two days of the week that I focus on specific things. For instance, Mondays and Tuesdays, my one son that I homeschool, he’s at his homeschool [inaudible 00:34:22] with a couple other kids, so I have maybe five hours those days, and I focus on my podcast and networking meetings and really, really critical tasks that I cannot be interrupted in. The biggest thing that I do every morning is I think, what is the one or two or three most important things, that if I did them, everything else would feel less like … It would just move me forward? What are the things that I need to do that would really move my business forward? It could be a theme in a week, it could be a theme of, okay, I want to focus on hiring my first employee, or it could be, I really want to publish three more episodes of my podcast, or whatever it is, I focus in on those couple of things that are really important to move the business forward, and then not worry about all the administrative tasks, because those can be fit in in between meetings or at a coffee shop, or after I read my son a book, or something like that. Administrative stuff really gets you down sometimes, but I just try not to worry about it that much, because I can always fit in those little tasks. Lisa Linfield: 35:27 Sure. It is actually that. It’s all about prioritization, making sure that you get the most important things done and get that going. Who’s your biggest inspiration in terms of learning and getting your goals so clear and your priorities so strong? Tamar Mar: 35:46 I just wrote and published a podcast episode kind of around this idea, because all my life I feel like I should have a mentor, I should have somebody that I really look up to, but the truth of the matter is, I’m one of the most ambitious people that I know in my circle, and I’m always meeting new people, but yet there’s nobody that’s like, “Oh, I want to be just like that person in my career”, or “just like that person”. I’m a very diverse person myself, and so the truth of the matter is books have been my mentors. I love poring over books, and not e-books, not on my Kindle, like good old-fashioned books that have pages, and they just … I get lost in their pages. If I have a topic that I want to learn about, I usually go to either an autobiography or somebody in the industry that has really made a name for themselves, whatever industry that is at the time that I’m interested in. I just go to those sources, and I learn from them. I kind of make them my best friends for a while to learn from their knowledge, because, I don’t know, ever since I was probably about in fourth or fifth grade, I loved reading biographies and understanding what made other people tick and how they were able to do the things that they did in their lives, so I’ve still continued that practice, and I’m turning 40 this year. Lisa Linfield: 37:08 Wow. Did you grow up in a house that was this way inclined? Tamar Mar: 37:14 No. No, I did not. I mean, my mom always really valued education for us, and my dad passed away when I was four, so it was just my mom and my sister and I. I have an older sister. I actually entered school late because my dad died right before I would’ve entered kindergarten, so my mom kept me home another year, then I ended up skipping two grades of school. I was always in like a gifted and talented program growing up, which really pressed me forward to accelerate my learning. In high school, I completed quite a bit of college education courses, university, before I even graduated from traditional high school. So I’ve always had that mentality that learning is really important, but coming from a financial standpoint, no. We had everything that we needed, but we didn’t have a lot more. I’ll just put it that way. So there was no conversations around money, and that’s not to say anything bad about the way my mom raised me, it was just that there weren’t conversations around money, so it’s not something that was ingrained in me from a little age. I had to pursue that on my own later on when I was ready to pursue it. Lisa Linfield: 38:21 You mentioned that your husband is your partner in so much of the stuff. How do you work that into a relationship in terms of managing this business together? How do you get on page to make all this happen? Tamar Mar: 38:37 I’m laughing right now, because all I can hear is my husband saying to me, which he does like every couple of weeks, “Just let me know when I can retire, baby.” So, he has been my biggest cheerleader that I’ve ever had in my life, since I’ve known him for 20-plus years, aside from one other person, a very dear friend of mine. So he’s always really believed in me for years before we were dating, and I think that I’ve always been … I know. I’m saying that to be nice. I know that I’ve always been a way more driven individual than he is. He’s more happy sometimes with status quo and, again, that’s not to say anything bad about him, it’s just that’s the way that he was built, but he really believes in supporting all the dreams that I come with. I usually bring them to him, and I’m like, “I’m thinking about this”, and he’s like, “Great. I’m onboard”, or maybe “I don’t like this … ” He doesn’t say I don’t like it, but he always offers kind words. He’s a man of not many words, so it’s one of those things where, when Bruce … His name is Bruce Mar, but I call him Bruce Mar Superstar, which is hilarious. So when Bruce Mar Superstar says something, and he thinks a long time before he speaks, almost annoyingly sometimes. He thinks long, so I know that when he’s actually trying to put in some wisdom in a situation, it’s been something that he’s been poring over for a while, so we do a good job with that. I’ll say he’s the Yin to my Yang; he is definitely the more mellow side of the family; whereas, I usually do not sit down the entire day. I’ll sit down if I’m working on my computer, but I don’t remember the last time I sat down on my couch just to sit on my couch, like years. I can’t even remember. He’s just a really good guiding solidifying factor in my life. Lisa Linfield: 40:29 If you were sitting there chatting with a bunch of friends and they wanted to start investing in property, what would be kind of your pearls of wisdom you’d share with them? Tamar Mar: 40:40 It really depends on what their objectives were. If it was a cashflow perspective, that they just wanted cash coming in on a monthly or quarterly basis, or if they wanted more aggressive returns where they did a flip, I’m all about the passive cashflow myself, but I would say start talking to people as much as possible. 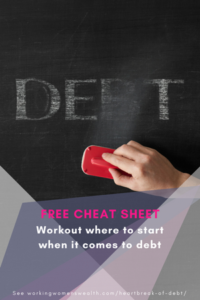 There are so many free resources out there, namely, podcasts. I’m a total podcast junkie in addition to books. I listen to at least an hour of podcasts a day. Just learn as much as you can, but. more importantly, talk to people who’ve already done it and latch on to some of their wisdom, and I think too many people can get stuck with analyzing and figure, well, what if?, what if?, what if?, all day long. We’re never going to make decisions that move us forward in our life. So some of this is just like, okay, I’m going to put my faith in this person, or this process, that they know more than I do, and it seems like they’ve done well. I’m just going to take a leap of faith. I take leaps of faith every single day. Really, that’s what it comes down to. So if you’re just learning all day long, you’re never going to take action. Lisa Linfield: 41:52 I think you know, a leap of faith sometimes assumes ignorance in the discussion, as an expression, it sometimes assumes ignorance, a leap of faith, but I think when you base it with a very clear objective, which was your first point, and learning as much as you can, those leap of faith, the leap becomes shorter and shorter and shorter. Tamar Mar: 42:12 Yeah, they’re educated decisions, I guess, might be the way to describe that. Lisa Linfield: 42:16 Absolutely, but your key point being you need to take action; you can’t think yourself so much around all of this stuff. You can think yourself to a standstill with the amount of analysis paralysis that we can all do: what happens if? What happens if? Lisa Linfield: 42:32 I think one of the most important things that you shared earlier, also, is understand that there is a learning cost in this whole process, and mitigate it as much as you can, but you say that one of your biggest things that you’ve learned is to keep more money aside for the renovation than you’d like to think. That only comes from learning the lesson that you bought it at $50,000 and it actually cost 60. Tamar Mar: 42:54 Yes. Yeah. So true. Lisa Linfield: 42:57 In terms of your podcast, Investing for Life, what do you hope to achieve with that? Tamar Mar: 43:04 You know, I think at the beginning it set out to be something different than it is right now. I really wanted to have a thought leadership platform where I could express some of my ideas to bring value to others, but also … I guess what it’s transformed into is like a really, really amazing way to connect with other people that I never would’ve been able to connect with before, and I didn’t realize the value that that had until after I was immersed in it, because of the amazing people I’ve been able to bring on for interviews, and just learning from their wealth of knowledge. So, just being a value to others and learning myself, I don’t have some huge crazy ambitious goal of being like the number one investing podcast. I actually don’t want it to tie me down. I don’t want to become a slave to it. I want it to be something that I enjoy doing, and so I’m careful with what goals I set with it, more it’s like, let’s make sure there’s an episode produced every week that’s top notch quality for people, and we’ll just see where it takes me. Lisa Linfield: 44:05 What was your biggest learning in this whole process? Tamar Mar: 44:09 There’s not really something that’s been the biggest aha moment, but it’s been a confirmation to keep going bigger than I feel comfortable with, and getting outside of my comfort zone. One of my favorite things to do is doing something that I’ve never done before, and I do it all the time in all areas of life. In business, for whatever reason, some people can get worried about that, but I love solving problems, so it’s just continual reconfirmation everything new that I’m doing, that it’s good. It’s good to be doing things I’ve never done before, because it keeps me growing, it keeps me excited. When I’m growing and excited, I’m the best wife and mom that I can be, too. Because if I get bored, watch out. I get a little grumpy. No super huge aha moments, I guess. Lisa Linfield: 44:58 I was once listening to a podcast, and the guy who was doing the podcast said his advice to people who wanted to become entrepreneurs, is not do what you love doing. His advice to people who want to be entrepreneurs is find a problem you want to solve, solve it, then the money and everything else comes through. The problem that you were trying to solve was how do I create passive income that means that I can go and be overseas on holiday with my family and still earn money? Lisa Linfield: 45:31 And then once you started to learn how to do it for yourself, you then solved the problem of how do I get other people into this thing of passive income, and generate passive income for them, which also then benefits me, and that thing of focusing on serving other people first, and then it all falls into place, is obviously kind of one of the things. If you focus on solving a problem, that always … If it’s a problem for you, it’s likely a problem for many other people. Tamar Mar: 46:01 True. Yeah. Lisa Linfield: 46:03 If you were to do something again, what would be the mistakes or things that you’d want to learn from? Tamar Mar: 46:09 Funny, my original thought when you said, what would you want to do again, immediately skydiving popped into my head. Lisa Linfield: 46:16 I love that. Tamar Mar: 46:17 I really want to go skydiving again. It’s been almost 20 years. Lisa Linfield: 46:22 Wow. Okay. Tamar Mar: 46:25 What would I do differently, or what would I do over? You know, I’ve been asked this question a number of times, and I wouldn’t do anything differently. I guess there’s been a business that I’ve been involved with in the past that didn’t turn out so well, and maybe we could’ve done a little bit more due diligence, but everything is for a reason, and I think even if something turns out bad, I then just put it in my memory bank of things to look out for in the future. In terms of like regrets or what would I do differently, I really wouldn’t do anything differently, because I feel like I’m exactly where I need to be, and I feel like ever since I made that decision to be the CEO of my own dreams and not somebody else’s, and not be an employee again, I felt like it was one of the best decisions I’ve ever made in my life. Lisa Linfield: 47:08 Yeah. I always say, I sit in this seat today at this very moment for everything that’s gone past: good, bad, ugly, every single experience creates the platform for where you sit right now. And if I look back myself on some of those challenging circumstances, in hindsight, as you get time and space away from them, you actually then can see how much you learned from it, and how important that lesson was to where you sit today. If you didn’t have that lesson, you could be making much grander mistakes on a much bigger level, you know. Lisa Linfield: 47:46 So I believe that there are so many people out there that are listening to this that would like to learn more from you. How would they get hold of your learning and your podcast, etc.? Tamar Mar: 47:57 Absolutely. I’d love to be in touch with your listeners. My podcast can be accessed by investingforlifepodcast.com. That also takes you to my company webpage, which is marotagroup.com, m-a-r-o-t-a group. That has a contact us form on there, as well, so they’re welcome to reach out via that method or listen to the show and, like I said, I have some really, really great guests coming on that I’m just super thrilled about. Every time I get done with a podcast interview, my heart is so full, and I can’t really describe that. I think it’s just because I love what I’m doing, and I love learning, and I really am excited to share some of what I’m learning with other people, as well. Lisa Linfield: 48:40 That’s fantastic. Well, thank you so much, Tamar, for being on our show, and we wish you all the success in your journey, both in the podcast and also in terms of the property investment. Tamar Mar: 48:50 Thank you, Lisa. It really has been a joy being here with you today. Lisa Linfield: 48:53 Great. Take care. Bye. That was Tamar Mar from the Investing for Life podcast. I really hope that you take the time to listen to some of her episodes if investing in property’s your thing, because she really has some great learnings and insights to share with all of us. 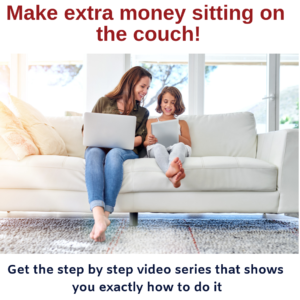 I’m Lisa Linfield, and this is Working Women’s Wealth, and I’d really like to invite you to sign up for our latest training course. It’s on financial goal setting. I’ll be doing it in Johannesburg and would love to have you join me. You can go to our website, workingwomenswealth.com, and it’ll be there for you to sign up, send us your email address, and we’ll get in touch with you about attending it.